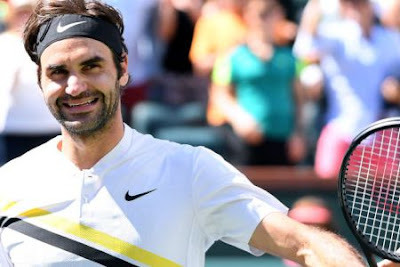 World number one Roger Federer made his best start to a season and reached the BNP Paribas Open final with a hard-fought win over Croatia’s Borna Coric. World No 1 Federer showed his champion qualities at the BNP Paribas Open to eclipse his start to the 2006 season with a career-best 17th straight win on Saturday. The Swiss beat 49th-ranked Coric 5-7 6-4 6-4 at Indian Wells. The 36-year-old, who will face sixth-seeded Juan Martin del Potro in Sunday’s final, told Sky Sports: “It was very difficult. I think I won today by fighting, staying in the match, and trying not to miss by almost aiming for the middle of the court. “Borna did a great job of controlling the middle of the court. He was very steady, didn’t give me much. It was pretty much a cat and mouse game, but one I am very happy I was able to win. Defending champion Federer is searching for a record sixth title at Indian Wells but he will have to overcome the man who beat him at the US Open last year. He has won 39 of 43 sets this year and claimed titles at the Australian Open and the ATP event at Rotterdam.